Welcome to Pride Of Manchester, the website which has been promoting the wonderful city of Manchester, it's places, people and past-times for over 10 years. Together with the definitive What's On, Theatre, Restaurant, Bar and Hotel guides, we aim to provide you with a brief background of aspects of the Manc life by embracing, celebrating and hero-worshiping those that have made the city the place that is today. If you're looking to advertise, then any statistics quoted by websites are meaningless unless they refer to the specific pages you will be advertising on. Some websites also have a poor reputation for telling the truth with their figures. We will allow all advertisers to place their own tracking code on our pages to prove our figures are accurate. Remember, if the customer finds what they are looking for on the first website they visit, they're not going to look at any that appear lower down the search results. "I seem to remember we had been to the game (United 1-0 Liverpool) and had met up with 25 Swiss lads, 5 Germans and 2 Austrians in town afterwards. We had a fantastic banquet at Pearl City in China Town, spent a couple of hours with the Dutch United Supporter's Club singing in Wetherspoon's at Piccadlly and then got extremely drunk in R.S.V.P. on Deansgate. 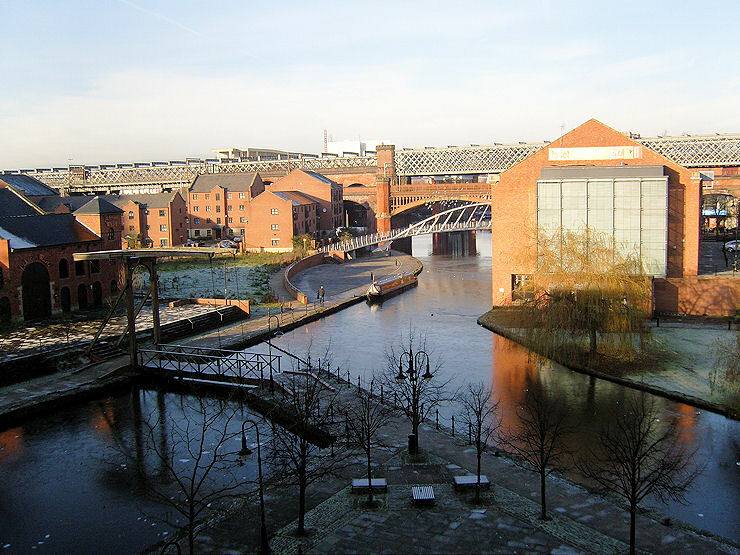 I remember us all being sat on the steps to The Bridgewater Hall, down by the canal basin, tearing strips off a disgusting greasy Allen's Fried Chicken, and admiring the fantastic architecture that surrounded us, long before the horrible Beetham Tower blighted the skyline. 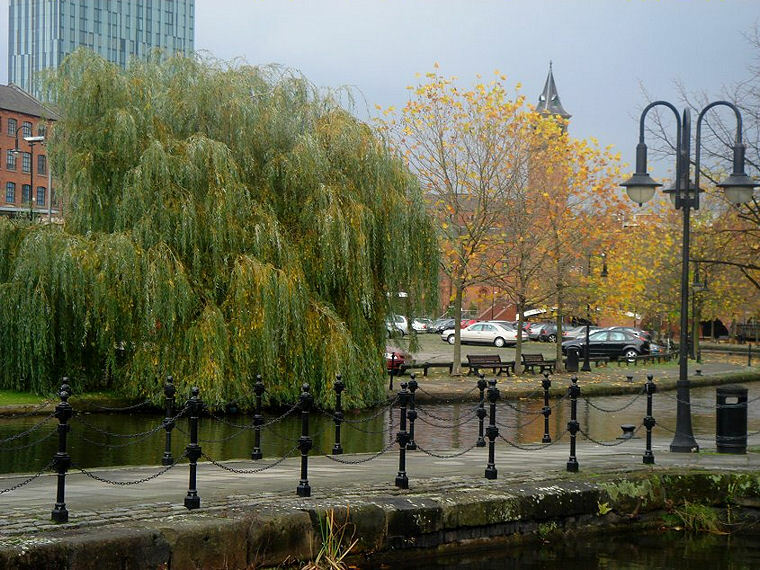 Many of the foreigner's were claiming that Manchester was the best place they had ever visited and we got talking about the talent that had emerged from the city. One of the German lads really wanted to see The Haçienda, The Boardwalk and some other place that I thought only us Manc's would have surely heard off. The others were telling us that we should be so proud of our city - it's football team, music scene and scientific breakthroughs. It was then that the idea for the web-site was devised, albeit Boddingtons-fuelled, again in the days when Boddies was a Manchester beer!". The site became a full-time operation in September 2003 with 3 permanent employees (Neil, Jim and Rob). Today, Pride Of Manchester has grown to be a large collection of websites, going under the umbrella 'Hotels For Europe', and boasting the largest hotel guides for the O2 Arena, Wembley, Twickenham, the Faroe Islands and many Swiss towns and cities. We also produce the largest theatre guides for many other English cities including Liverpool, Birmingham and Oxford amongst many. As the Pride Of Manchester site goes from strength from strength, don't expect us to stray from our original philosophy... one that celebrates Manchester and it's amazing talent in a way that typifies the personality of the region's people... friendly, fun loving and informal! ManchesterTheatres.com - the biggest Manchester Theatre guide with 1.3 million readers a year! RestaurantsOfManchester.com - the biggest Manchester restaurant guide with over 700,000 readers! ManchesterBars.com - the largest Manchester bar guide with 600,000 readers a year! "I feel close to the rebelliousness and vigour of the youth here. Perhaps time will separate us, but nobody can deny that here, behind the windows of Manchester, there is an insane love of football, of celebration and of music"
Disclaimer: All pages within PrideOfManchester.com, PrideOfManchester.co.uk, HotelsOfManchester.com and Hotels Of Manchester.co.uk are Copyright © 1999-2009 Pride Of Manchester. All rights reserved. If you wish to reproduce any content please contact us first for permission.